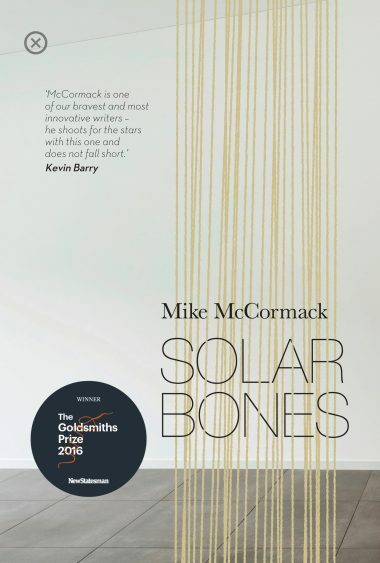 Mike McCormack’s Solar Bones has been longlisted for the Man Booker Prize 2017. We are thrilled for Mike and his incredible novel, which was first published in May of 2016 in Dublin. Solar Bones was a huge critical success, and went on to win the 2016 Goldsmith Prize, the BGE Irish Novel of the Year award and Overall Book of the Year, and was shortlisted for 2017’s Kerry Group Irish Novel Award and the inaugural Republic of Consciousness Prize. Working with Mike on this stunning piece of literature has been in once-in-a-lifetime experience, and watching him get the recognition he deserves as one of the world’s leading literary talents is incredibly gratifying. If you’re in Ireland, buy the Irish edition here or ask your local bookseller. Read more about the Man Booker Prize here.